Even though skateboarders have spent their own money during the last seven years building a place to skate, Cal Trans decided several months ago that they would destroy it. 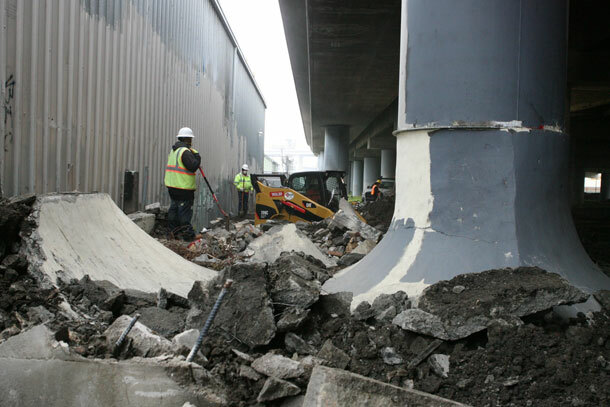 The skaters had transformed a forlorn place under Interstate 580 known for illicit activities and drug sales into a DIY concrete skate park where skateboarders of all ages could join. But the park, known as Bordertown for its location on the border of Oakland and Emeryville was bulldozed yesterday.